We’d love your help. 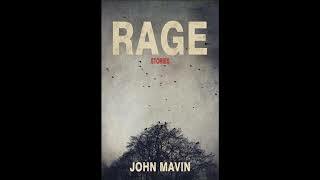 Let us know what’s wrong with this preview of Rage by John Mavin. When our own darkness is mirrored in multi-faceted characters, do we look away in disgust or find the humanity within them and, by extension, ourselves? In his debut short fiction collection, John Mavin has slyly exposed hidden themes to the world with breathtaking potency, eloquence, and wit. Rage follows a loosely interwoven group of people from the fictional town of Dols When our own darkness is mirrored in multi-faceted characters, do we look away in disgust or find the humanity within them and, by extension, ourselves? In his debut short fiction collection, John Mavin has slyly exposed hidden themes to the world with breathtaking potency, eloquence, and wit. I won this autographed copy through Goodreads giveaway, thank you. This is a one of a kind set of short dark stories that you just don’t hear about every day. Each story goes deep into different aspects of human behavior through different aspects of lives. Besides a couple of stories that I had trouble understanding due to them having Spanish and French mixed in, the others are mind blowing especially during the end of each story. These stories are immersing and hard-hitting, and will stay with you days after you finish. In particular, the heartache and pain of the title story, the vigilante brother and sister duo of A Flock of Crows is Called a Murder, the down-to-earth reverend and his fight to save a refugee in Relevance, and the difficult read of Dal Segno al Fine’s aging couple are standout elements ... but The High Alpinist’s Survival Guide is my ultimate favourite — it will have you on the edge of your seat. I started reading this a few days ago while on my break at work, but then I was distracted by other things. This isn't the kind of one-off book you read when distracted. The first story sets the tone, and then the idea filters through that the themes explored will demand both your time and attention. Don't shortchange yourself. Give in. Then it's 3:45 in the morning, you've flipped over the last page, and the only sense of disappointment left lingering is that there isn't more. This was my first book of short stories and it definitely won't be my last. Each story was captivating and written with a variety of styles and themes which kept things interesting. I look forward to future stories. Definitely a talented author. Loved this book, an absolute page turner. Once I started a story I had to finish it before I put it down. Read this book. I was captivated by each character in each story, drawing me in until I cried, screamed and cheered along with them. The war-trauma rage of the initial story. The filial rage of "And Apparently, Cigarettes." Ambitious rage in "Deposition." Jared's righteous (and ironic) rage in "Relevance," which frankly is one of my favourite things in the entire book. The drama-fueled teenage rage of "Mercy Manor." Raymond's helpless rage in "Dal Segno Al Fine," which has my favourite opening line in the book. Zak's unexplained rage is beautifully played against Mike's hopefulness about his future in "Wait Rage. So much rage. The war-trauma rage of the initial story. The filial rage of "And Apparently, Cigarettes." Ambitious rage in "Deposition." Jared's righteous (and ironic) rage in "Relevance," which frankly is one of my favourite things in the entire book. The drama-fueled teenage rage of "Mercy Manor." Raymond's helpless rage in "Dal Segno Al Fine," which has my favourite opening line in the book. Zak's unexplained rage is beautifully played against Mike's hopefulness about his future in "Waiting for the Defibrillator to Charge." Then there is the traumatizing rage of "Rage." The crazy ambitious rage of "The Edmore Snyders." The dad's quiet rage in "A Flock of Crows is called a Murder" as well as the bestial rage of the crows, reminiscent of Alfred Hitchcock. And the motivating rage in "The High Alpinist's Survival Guide." Through a range of characters as diverse as an elderly stroke victim to a priest harboring an illegal alien, the stories in this book offer an unflinching look at the Jekyll and Hyde emotions we all strive to suppress. Dark, haunting, and very memorable! Stories of deception, betrayal, and revenge; of consequences intended and unintended. The moods in Mavin’s fiction fluctuate with every plot twist and reveal, leaving the reader to wonder what the next moment will hold. Great collection of short stories. The author writing style keeps you hanging on until the last word. DNF. made it over halfway through, having disliked every story i had read so far, yet still went on hoping to find a gem. the gem never came. The collection of short stories captures the secluded secrets of a small town that is unable to keep its innocents. 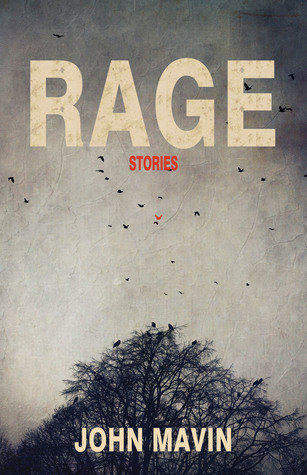 The way the author is able to bring forth a variety of intense subject matter is no small feat, Rage makes the reader go on an emotional roller-coaster, that in the end, brings the reader to question parallels they might have seen in their own town. Impossible to stop in the middle of a story, John Mavin's writing style keeps you hanging on until the last word.